Since 1976 the Windsor Day Care has enriched the lives of children and families through early learning programming and high quality childcare. Driven by committed staff, volunteers and community members, the Centre provides a nurturing childcare environment for children 6 months to 12 years of age for the families of Windsor and West Hants. 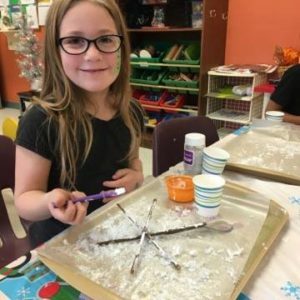 Our experienced, caring teachers are fully trained in Early Childhood Education, First Aid and CPR, and provide a stimulating learning environment. The daily routine is flexible and responsive to the needs of the children and the program. Each unit posts a daily schedule, a theme for the week and the activities for each day. Parents and caregivers are encouraged to be active in our daycare family, and are welcome to visit their little loved ones at the Centre. Children experience individual and group activities daily, through music, song, dance, games, exercise, art, and more. 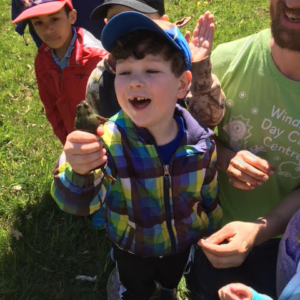 Outdoor activities and local field trips are planned regularly. Heather is a Level II Early Childhood Educator. Serving as the Centre’s Executive Director since 2015, Heather has been an integral part of our daycare staff for over 30 years. Sue is a Level II Early Childhood Educator and has been a cornerstone of our Centre for many years. Families and children recognize her friendly greeting in both classroom and office. Our infant unit is licensed for 8 children with 2 teachers. Individual attention and interaction will be given to each infant, allowing them to have their own daily needs met. Each teacher will make sure that the infants’ schedule will reflect on their specific needs throughout the day. 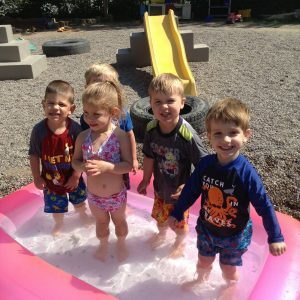 Our Toddler program is intended for children aged 18 months to 3 years. Our goal is to provide a program that meets the needs of each individual child and to challenge his/her creativity. 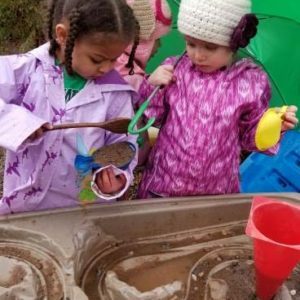 This rewarding and fun experience will help your child adjust to future preschool programs and eventually the Elementary School environment. 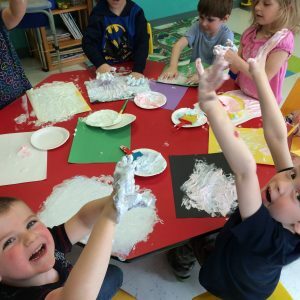 Our Preschool program is targeted for children ages 3 to 5 years old. This is a child-centered program that believes the individual needs and wants of the child must be met, by providing a warm and caring atmosphere for their growth. It is a place where children are not pushed to learn but where they learn because it is fun. In 2016 we introduced a part-day KinderSchool preschool, 9am-2pm only. Our School Age Program is targeted for children ages 4 to 12 years old. This Program is designed around the school children’s schedule. On days when there is no school, such as inservice and school breaks, the children are able to attend the Centre for the full day with snacks and meals provided. Our Annual General Meeting was held on May 30 2018. Many thanks to all who attended!